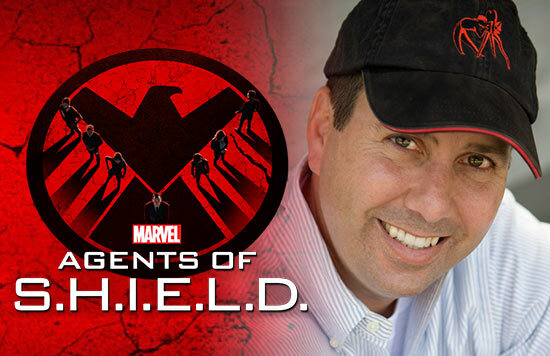 This episode, Wendy and Adron talk with Mark Kolpack, the Visual Effects Supervisor for Marvel’s Agents of S.H.I.E.L.D. We here at N4AL are huge fans of all things Marvel, and have been anxiously awaiting the return of Agents of S.H.I.E.L.D. Over a season and a half, we’ve watched the show evolve into a dynamite weekly cinematic experience with spy caper thrills, awesome action and that trademark Marvel humor. Marvel’s Agents of S.H.I.E.L.D. returns Tuesday, March 3rd on ABC with a can’t miss follow-up to the roller coaster ride of a mid-season finale. A lot of what makes Agents of S.H.I.E.L.D. so visually spectacular is the work of Mark Kolpack and his visual effects team. Mark’s been in the film making business since 1985, when he started as a feature editor. He later moved into visual effects and commercial work, creating TV spots for huge brands like Apple, McDonald’s, Levis and Pepsi. His 1994 Nike commercial “The Wall” won a prestigious award at Cannes. His VFX work then spilled heavily into genre entertainment, with movies Batman Forever, Blade, and Godzilla. He transitioned to TV with Emmy-nominated work on season one of Heroes, and then on to the super-powered No Ordinary Family. Mark’s been on board with the Joss Whedon-powered Agents of S.H.I.E.L.D. since episode one. In our discussion, he gives us an in-depth look into the day-to-day production of S.H.I.E.L.D., what it’s like working with awesome actors like Clark Gregg and Ming-Na Wen, and how even a notable VFX house has to audition to work on the show. Mark was incredibly generous with his knowledge, insight and experience. It’s a fascinating discussion for fans of Marvel, visual effects and the craft of cinematic storytelling. Find out more about Mark at his website.